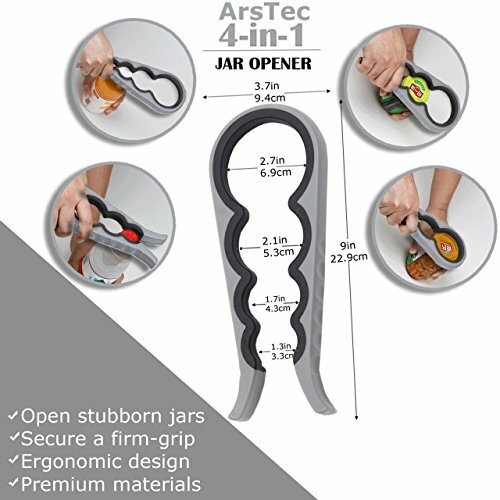 4- IN- 1 JAR OPENER : Designed ergonomic and easy to use with 4 defferent jar grips.Multiple jaw size fits most jar/bottle lid or cap. Non slip grip and rubber inside grip wich helps open even the most stubborn jar and bottle lids. 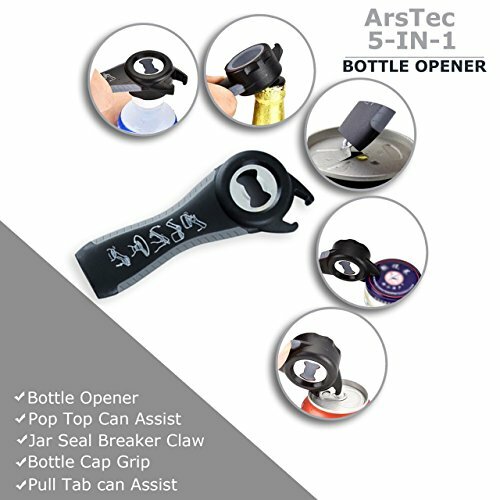 5-IN-1 BOTTLE OPENER : A bottle opener takes off bottle caps, a screw top opener assists with water bottle and soda tops, a pull tab hook pulls off can tops, a tab nook opens soda cans and a jar hook breaks the air tight seal of hard to open jar lids. 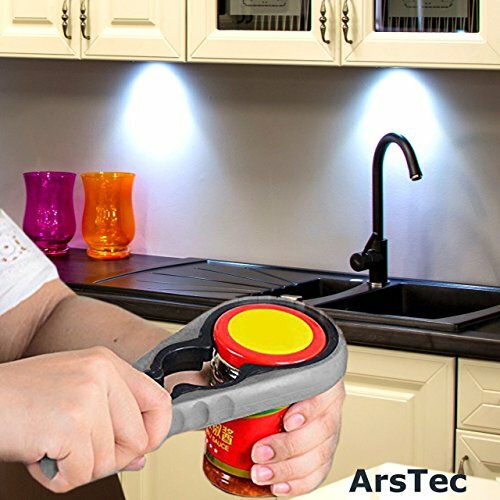 Non slip gripper pad provide superior grip when opening stubborn jars and Prevent objects from sliding even with wet hands. Designed For Small Hands, Seniors or Anyone Who Suffers From Arthritis. Easy grip handle great for wet jars, wet hands, limited hand strength mobility and hand injuries. Practical,Durable,Convenient,save your time and strength,suitable for children, seniors and women. 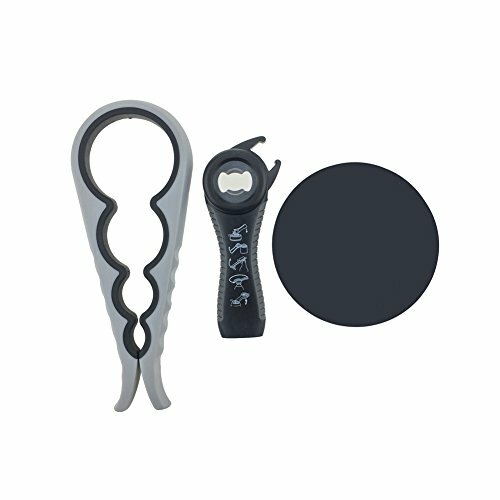 The great versatile kitchen gadgets - A set of multi-function stainless bottle opener and silicone jar opener will give your hands the power to open any jar lids, bottle caps or cans seal just in a breeze. If you have any questions about this product by ArsTec, contact us by completing and submitting the form below. If you are looking for a specif part number, please include it with your message.